Funded by the University of Glasgow Chancellor’s Fund and the College of Arts. On a Sunday afternoon in August, 35 people from diverse religious and non-religious backgrounds gathered together in the beautiful function room in St Mungo Museum of Religious Life and Art to explore different forms of religious dress. 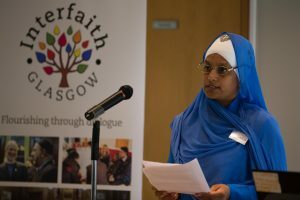 Dr Saeko Yazaki from the University of Glasgow worked together with Interfaith Glasgow on the concept for this event, drawing on Dr Yazaki’s research and Interfaith Glasgow’s experience bringing diverse communities together. Consciously or unconsciously, what we choose to wear is socially, religiously and politically constructed. From police officers’ uniforms, kilts to our everyday dress, there is a cultural and social history woven into the clothing we wear. One of the aims of the event was to explore various types of traditional dress through personal accounts as well as its religious significance. 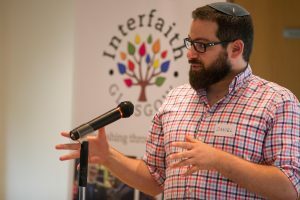 Participants heard from five speakers who each shared about what they were wearing – the significance of their clothing, and, how they feel when they wear it. They briefly introduced the Five Ks or articles of faith of Sikhism, the Muslim Hijab, the Zen Buddhist Rakusu, Orthodox Jewish dress, and the Japanese Kimono. Kimono may not be usually considered to be religious dress, unlike the other four types of dress represented at the event. However, the way kimono is worn, its design and symbolism of its pattern deeply reflect the culture and religious landscape of Japan. A focus on the kimono offered an excellent window into the way in which Japanese religion functions as distinct from “Western” traditions, with more importance placed on practice or performance than individual belief. Participants then had the opportunity to engage in a more intimate conversation with each of the speakers in small groups of 5 or 6. 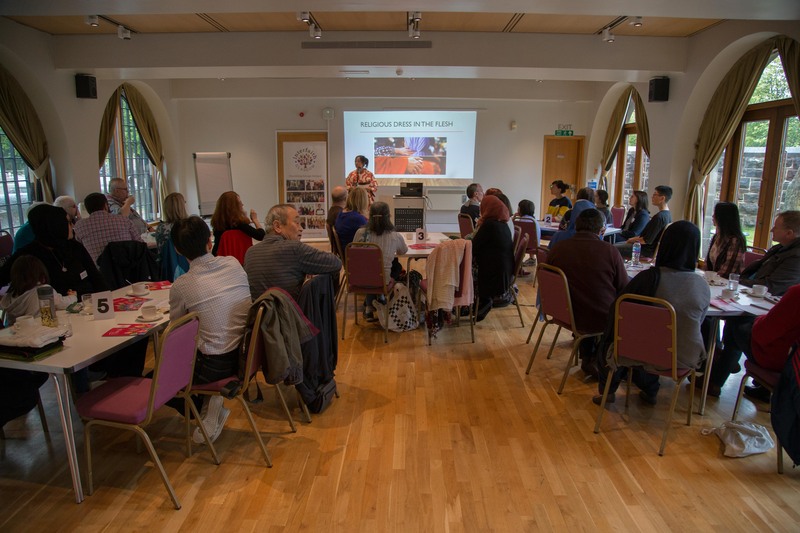 These small, deliberately mixed groups got to know each other during the event, as they moved around the room together to join each speaker for an informal discussion as well as a chance to handle and try on some garments. Participants reflected that the small group discussions and the “open and relaxed” and “safe and comfortable” environment allowed them to feel “confident” and “free” to ask “silly” questions, “difficult questions” or “questions I would not want to burden friends/ acquaintances with.” They explored difficult issues related to religious dress such as religious commitment and choice, identity and belonging, prejudice and acceptance in a way that increased interreligious understanding and challenged stereotypes. 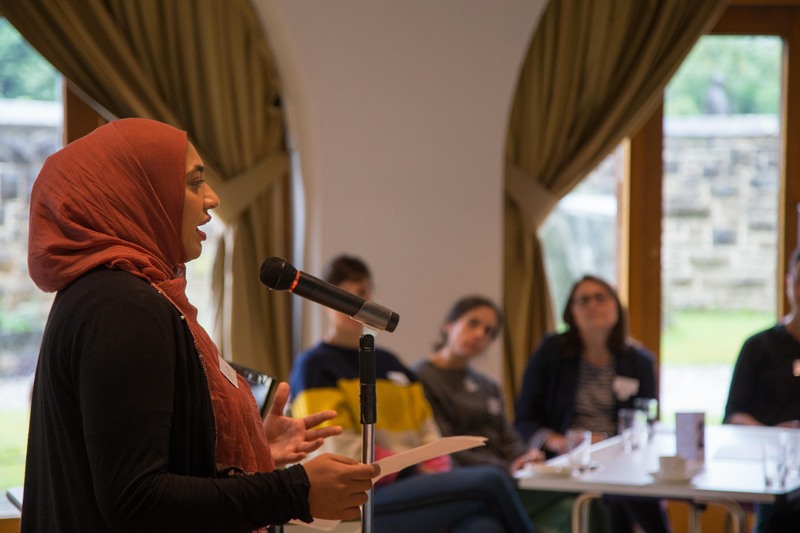 This event took place shortly after the then Foreign Secretary Boris Johnson likened women who wear the niqab to “letterboxes” and “bank robbers” in his Daily Mail column, and this was mentioned by Muslim speaker, Safa Yousaf and discussed by some of the groups. Ordinary people are routinely exposed to such views in the media and do not often have a chance to hear directly from those whose clothing reflects their religious commitments, and participants greatly valued this opportunity. 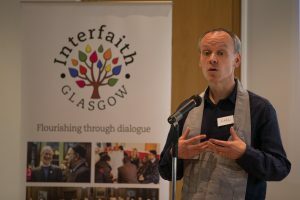 The event was made possible through the funds from the University of Glasgow Chancellor’s Fund and the College of Arts. 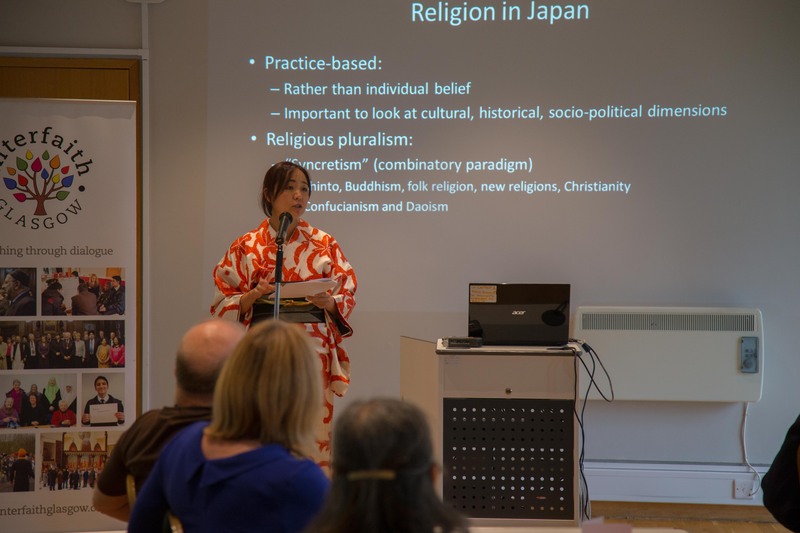 Many thanks to our speakers who volunteered their time and to Vice-Consul of the Consulate General of Japan in Edinburgh, Ms Yoko Murata, who generously lent a couple of beautiful kimono for the event. The love child of Larry David and Paddington Bear, Zoë is a creative generalist currently working at the University of Glasgow's College of Arts.